Is the Future of News Collaborative and Social? Unless you’ve been living under a rock there’s been some serious attention recently to the power of social news coming to all of us via Twitter, Reddit, and other such networks and how the news is actually breaking on these sites before it’s even getting covered on the major news outlets. We’ve all known for quite some time that this was happening – and the major networks have scrambled to somehow keep the pace but it’s relatively impossible to do so unless something significant changes within the editorial and publishing space. For example, with the recent bombings of the Boston Marathon and the manhunt that’s happening right now, Twitter and Reddit are the center of attention for the most up-to-date news. This is the news, as fast as your browser can refresh. Honestly, at this point, nearly 7,000 (and rising) people did not “need permission” to “publish” this news and retweeted the heck out of this one image. Is traditional media slow? Heck yes. 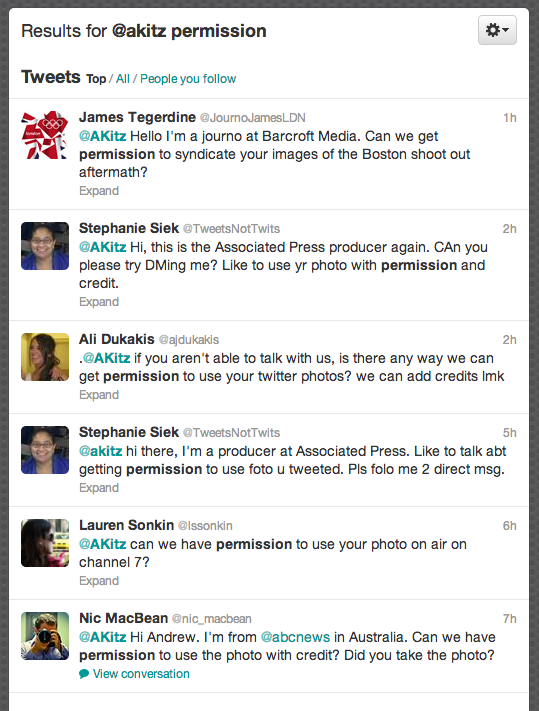 Asking for permission to use the image is such old news. One solution that’s been grabbing more and more of my attention is Storify, which has recently partnered with Automattic’s VIP solution. Customers who are part of the Storify network can easily embed and manage their stories in a one-click dashboard feature that are being pulled from all types of media, especially social. 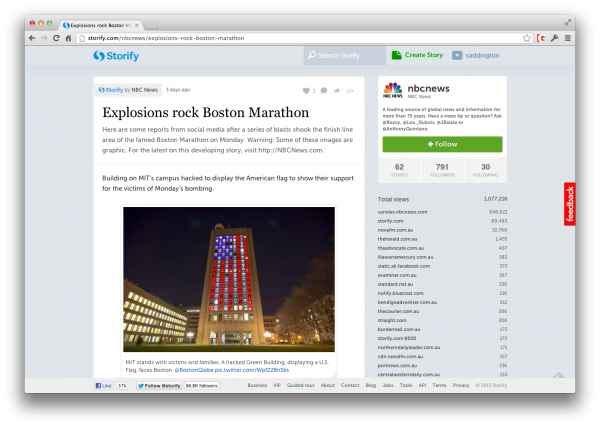 Storify users tell stories by collecting updates from social networks, amplifying the voices that matter to create a new story format that is interactive, dynamic and social. Discover meaningful social media from the best storytellers online, including journalists, bloggers, editors and people like you, too. So you can curate and create a more-complete story by adding in the elements that *ahem* traditional media can’t keep up with. In this way it’s both collaborative and it’s all social – no permission necessary. And I think this is just the beginning of better news. Sure, Storify has a great solution and one that more and more news sources are biting into, but I don’t think the implementation is perfect nor is it as frictionless as it could be and I can’t wait for the next generation of news-related tools to continue to crop up in the near future. I believe the future of publication and news is collaborative and very, very social – I just wonder what it’ll look like when we see it raw and in its unadulterated form – will we even like it?